DBX 4.0 pants, pictured here with the DBX 4.0 Ultraweld jersey. The shirt is form-fitted and features a microfiber lens wipe. Leatt’s South African gear smiths have something special in store for folks who love the moto look. The DBX 4.0 pants are cut with all of your riding needs in mind, including a robust breathable fabric for long summer trail sessions. Prior to releasing gear for public consumption, Leatt tests with a slew of professional downhill, enduro, and BMX riders including Emily Seigenthaler, Bernard Kerr, and Teal Stetson-Lee. While professional riders have different needs than some of us, I like knowing that hard riders tried to destroy the gear I am buying during the R&D phase of its creation. A small, zippered pocket at the rear sits just below the fabric loop that the pants can hang from while they dry out. I have a 30″ inseam and 30″ waistline, and the size small fits comfortably, all the way down to my shoes. Riding pants that fit well in the waist are often a few centimeters short in the legs, but these trousers do not follow that trend. They have a tighter cut, but there is more than enough room inside for liner shorts with hip padding and large kneepads. 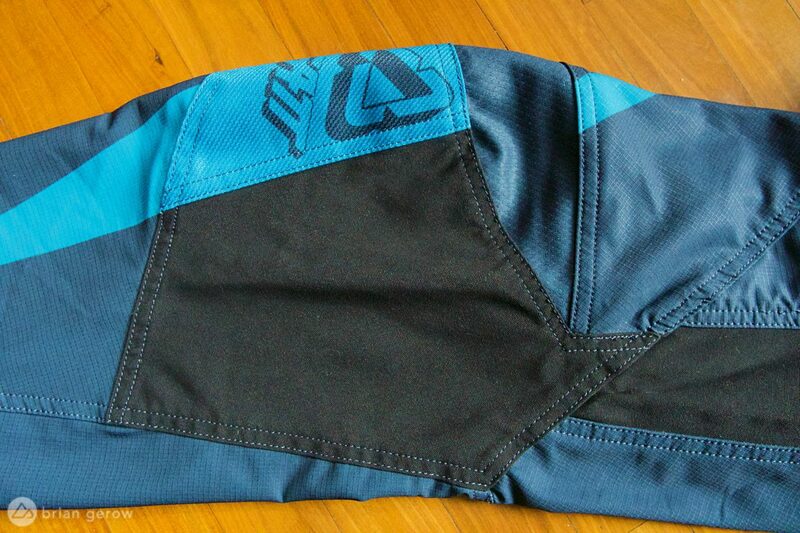 Proof that Leatt’s designers have listened to athletes’ feedback can be found in both the choice and placement of fabric on the DBX 4.0 pants. The upper portion of the pant has an anti-odor liner sewn inside, to ensure that you are not the stinkiest one on the shuttle bus. A tall silicone band wraps the inner waistband, held tight by two outer adjustment straps on either hip. These pants don’t slide around a bit, even when worn over lycra shorts. One cellphone size horizontal hip pocket zips on the right hip, and there is a rear pocket just below the waistband, large enough for a snack and a lift pass. Large swathes of durable and grippy fabric inside either knee. The main leg fabric is stretchier and more breathable than other gravity pants I have tested, but the thicker bits in the crotch and inner legs are just as robust as the competition. There is no drivetrain protection inside the right ankle, but the lower pant legs are tight enough that they don’t touch the chain or rear triangle. 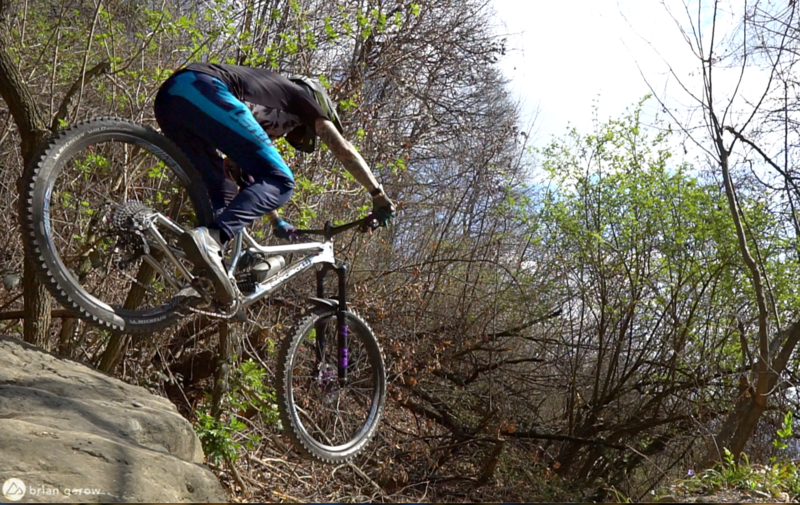 I have been getting acquainted with a new bike this season that has a significantly longer reach than I am accustomed to. While experimenting with the balance point on different trail grades I typically graze my inner right thigh on the rear tire a few times per descent. After some of the longer buzz bouts, I stopped to check for the hole in my pants but was stoked to find them fully intact. The burly black fabric inside the legs is well placed for this very scenario and has held fast against the clawing of my rear shoulder knobs. Durability is not the only strong suit for Leatt’s trail trousers. After a few rides, the pants fit like a seasoned baseball mitt. When I take them off they keep the shape of my awkward attack position, ready to slide on and get out the door. For this dirtbag, the anti-stank liner means I can wear them three or four times between washes, which is a unique and welcomed feature. Leatt whacked all of the moles with this pant, designing the most breathable and stretchy pair of trousers I have ridden in to date. It would be great to see them expand the colorway in the future, as these are only offered in black and blue for 2019. For anyone who prefers the extra layer of protection that long-pants provide, the DBX 4.0 are a sweet year-round option. 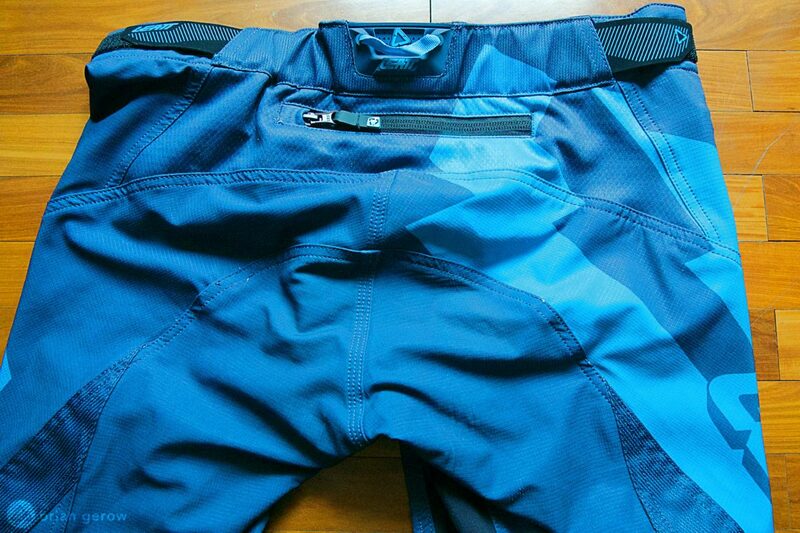 We would like to thank Leatt for providing the DBX 4.0 pants for review.